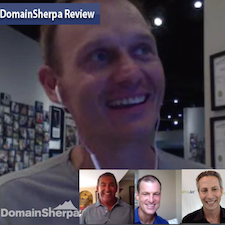 We’re joined by three Domain Sherpas: Frank Schilling, Monte Cahn and Shane Cultra. Another great show. Thanks to all!! Just the best interview yet. 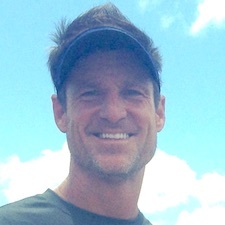 You are reaching the top of this industry and as a Newbie I’m very proud to be following you as MY Sherpa. I couldn’t do better. Congratulations to you and your Sherpas. PS. I can’t get your schedule in Ft. Lauderdale, where I live. Would hate to miss any of your presentations. Thanks, Gil. Very kind of you. I will be moderating a couple of discussions, with Fred Mercaldo and Adam Dicker. I don’t know if they’ll be recorded, but I’ll see if it’s possible. Frank you are just too awesome! I want to start by thanking all for their insights etc. 1. Knowing that people use Estibot and them being a sponsor of your shows I wonder can you really be objective about the service they offer ? In your sponsor page video you promote them to be a place to get a value when in fact oftentimes the values they come back with are ridiculous (both high and low). Case in point: directadvertising.com which I purchased a few months ago. They are a sponsor. We make that clear. One cannot be totally objective if someone else is paying them for promotion. Having said that, I have not found a better automated algorithm for valuing domain names. I ask many Sherpas what they use; they all use Estibot too. Does that mean it’s correct for every domain? No. Nobody says it is. Go watch the Estibot tutorial I put together and I tell you exactly what domains they don’t value well. Also, just like Google readjusts which domains are more valuable over time, adjusting rankings of websites, Estibot too readjusts values over time to become “smarter” about their valuations. This is likely the case of your domain name. Don’t place all your eggs in one basket…make friends in the industry and ask them for second, third and fourth opinions. Shane, well done! The guy with the smallest house on the block absolutely dominated today’s “Name the Price” contest. Frank, your passion is contagious. Sounds like Uniregistry is about to rock the domain world. Looking forward to it! Monte, can’t wait for the 4.cn auction! Thanks to everyone. Enjoyed this one very much. I wanted to thank all of you for your honest, direct feedback on some domains in my small portfolio yesterday. Such a mix of takeaways for me: encouragement, validation, discouragement, agreement, thoughts confirmed. I agree that some of my names are way too long; I was uneasy when I bought them. And, glad to hear the Sherpas agree about the “.paris” names. I grabbed them when it was first released, with the idea that in a year or so, the value would increase – especially to a French investor/company. But, I do have other shorter names: “ReligiousSoul” (I see lots of commercial possibilities); “Kiltjoy” (Scottish buyer); “USInequality” (hot current topic & should remain so). And, they’re all “dot coms”. I would prefer not to have to handle registration transfer, escrow, etc. myself. What’s the best way to sell or auction names that a broker wouldn’t be interested in? Frank, would your new venture meet this need? Other selling companies or auctions? BTW – “HillaryforPresident.org” isn’t my favorite; I put the political names 1st because they’re the most critical, time-wise. Finally, I had planned to attend NamesCon, but I’m having second thoughts. I know everyone starts somewhere and has to learn the business, but how do you decide maybe it’s not right for you? Again, thank you Michael, Monte, Frank and Shane for taking the time to review, comment and offer suggestions on my domains! This gave me great insight. I think without this insight a newbie domain investor will end up sitting on an imaginary pot of gold and very high annual renewal costs. Awesome show guys. I always love to hear the different Ideas and thoughts you all have. On another note Frank said let me know who you want to see and we will have them out to the Cayman s… So everyone should tell him that you want to see Aaron. Frank you can send the Jet to The Scottsdale Air Center whenever. Great show everyone! Thanks for your time. If anyone can sell rhinosplastla.com it’s Frank. This tells me that it isn’t enough investing in domains, the key is knowing how to sell. Good thing we have brokers to help out. Frank’s energy is contagious, I can see why he is so successful. 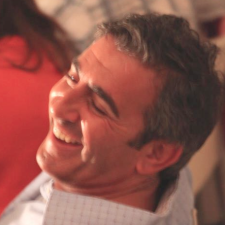 Super passionate about all his businesses and believes they are the best (because they are). I see what you did there. I guess I have to prove it was a good buy for the buyer as well :) And I will. PS, the seller was Godaddy on a “forgot to renew” auction aka expired. Its always a good sale for them. Always good to listen to these, and some great names. This industry is great because there are people willing to share. Can I ask a quick question from each of you? 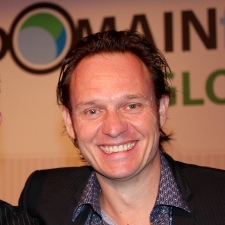 Frank – Will DNS ever start any auctions like godaddy or Sedo? Any plans of starting an outbound sales division for the domains parked at DNS? Shane – What do you think we should do with 5N domains, I have seen some numbers which I will not even attempt to understand. some have sold for 300, and very similar numbers have gone for as much as 7 grand. Do you think we should sell now while they are hot or should just wait a bit? Monte – Are you still accepting names for the Chinese auction? if so, are you accepting .cn names or just .coms? thanks Shane, appreciate the quick reply and advice. Submissions for the Domainfest / Macau auction were closed on Aug 15th. However, do send me over what you have and the absolute minimum reserve prices. We may have more auctions in China and have other sales and brokerage opportunities before, during and after this auction. We will also be calling for super premium domains in September for the NamesCon live and online auction that will take place on January 11th 2016. We will start marketing for that auction in early October. thanks Monte, email on the way. 2. Syndication of your name for sale across other registrars.. Something we will do using our Uniregistry relationship (recall that all registrars for the most part are accredited with Uniregistry) If a user searches for your name at another registrar and that name lives at Uniregistry we will be able to syndicate it on a buy it now basis across other registrars and transfer it using the Uniregistry Market. These features don’t give the time certainty of an auction but auctions pretty much guarantee lower prices on all but the hottest few domains. Again, if our customers demand auctions we will likely roll it out in 2016. Initially our focus internally is on completing our DNS migration to Uniregistry in this year. thank you for the super comprehensive answer, this alone is convincing enough to move my domains to Uniregistry. Frank will the integration of DNS into Unregistery allow those Domainers will smaller portfolios to access the leverage the ‘awesome power’ of DNS? I like many others have a small portfolio of Domains. I am envious, miffed and frustrated by not having access platforms and sales channels such as DNS or Namejet. There appears to be exclusivity to DNS based on size of the portfolio you want to list and exclusivity to Namejet based on who you are, not want you wanting to list/sale. Michael as always great show and content. Thanks Shane and Monte. Thank you for another outstanding show. Thank you Frank, Shane and Monte for taking the time to share. We can learn so much from what you have to say. Thanks Eric for watching. Have as much fun doing the show as people do watching it. Wow, another great show, “master tips” from Frank as always. A very constructive feedback for Judy. Thank you Mike, Monte, Shane and Frank. hey Frank I have hundreds of domains and thinking of moving from my current registrar how can I contact you? You can reach out to sevan or frankp (at) uniregistry dot com if you need help with a transfer. We stand ready to help if you have any questions. This is the greatest bunch of sherpas since Rick Schwartz was on thanks Mike and Sherpas. Absolutely agree, Shane. This was a great mix of experience, personalities and portfolio size. Not only did I learn a ton of great ideas but I don’t think I laughed as much on this Review as any other… sometimes the show gets a little tense when… someone else is on. Thanks Michael for a terrific show. Thanks for watching and posting a comment, Jay. Much appreciated.